Our clients can avail from us top quality of Auminium Film at industry leading price and delivered in recommended time frame. 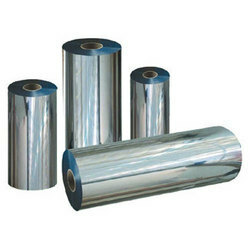 We are the leading supplier of PVC Rigid Metallic Silver Blister Films used in Pharma Industry. We are engaged in delivering the best quality of Metalized CPP Films. Our firm is providing CPP Metallized Films. Owing to high demand, we present this product in varied patterns that meet on market demands. We are indulged in offering the finest quality Silver Polyester Metallized Film. 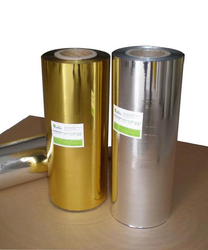 Metlized Laminated Film is generally used for decorative purposes. The coating also reduces the permeability of the film to light, water and oxygen.